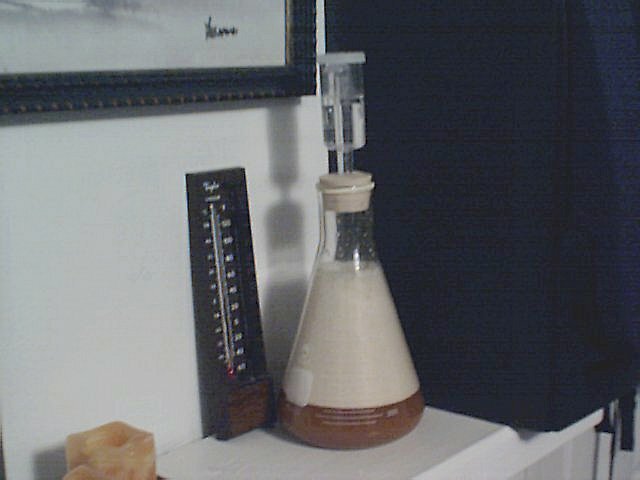 Liquid yeast from White Labs or Wyeast need starters made 4-6 days before pitching into a 5-gallon batch of wort. Remove vial of White Labs liquid yeast from refrigerator and let sit 4-6 hours or smack Wyeast pack and allow to swell. Soak airlock and drilled stopper in sanitizing solution (Bio-San, 1-Step, Star-San, Iodophor) for 5-10 minutes. 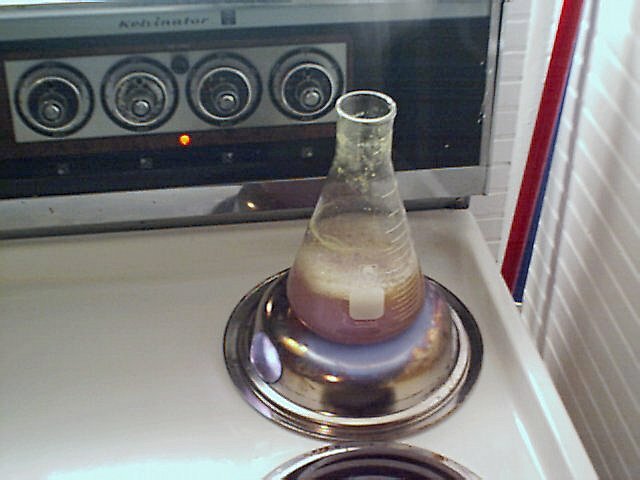 Using a heat diffuser on the stove burner, boil 550 mL of water in a 1L Erlenmeyer flask. Remove from heat and add 2.5 oz of Light LME and .5 tsp of yeast nutrient. 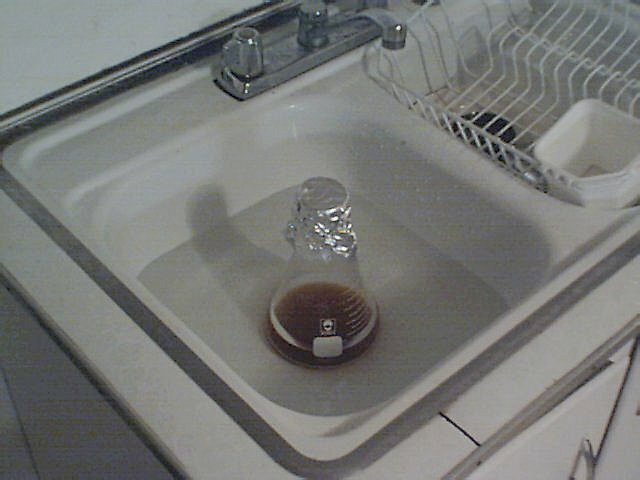 Boil for 10 minutes and place tinfoil over the 1L flask for the last couple minutes. Cool wort to 75� using a cold water bath. 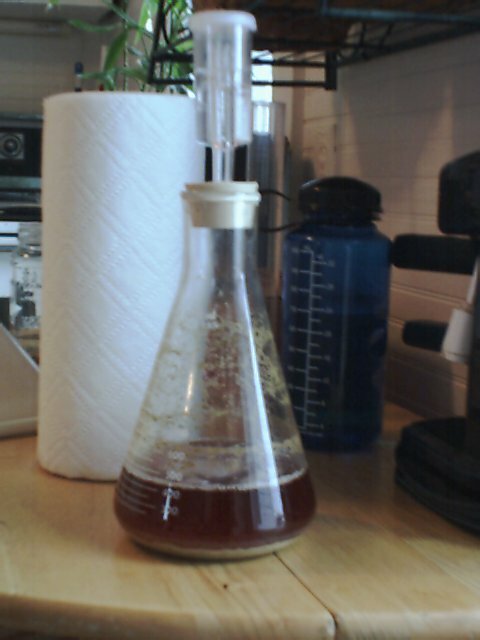 Pitch yeast into 1L flask, shake vigorously, seal with drilled stopper, and affix airlock. Store 1L flask in dark at 65�-70� for 4-6 days. 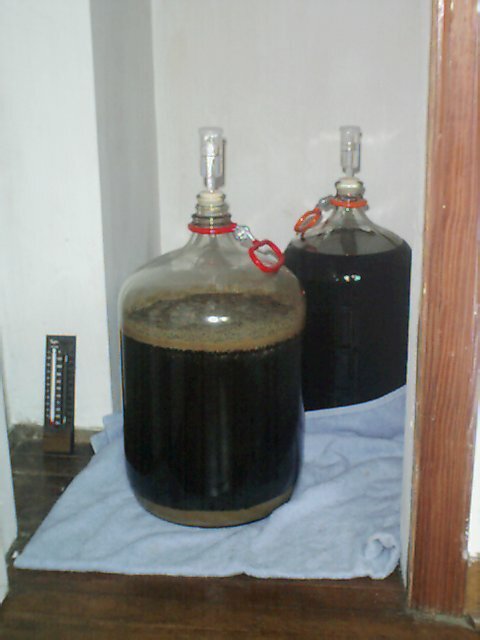 The process of transfering off the trub from primary fermetor to secondary fermentor is called racking. Prepare 1 gallon of sanitizing solution (Bio-San, 1-Step, Star-San, Iodophor) in wallpaper tray. Soak racking cane with tip, tubing, airlock, stopper, and 6.5-gallon carboy cap in sanitizing solution for 5-10 minutes. 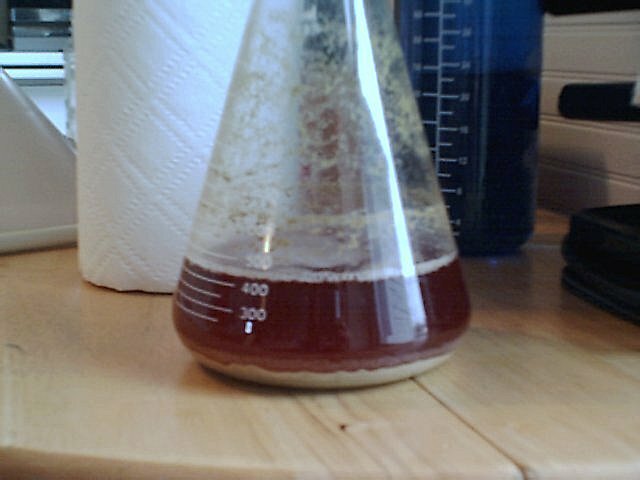 Pour sanitizing solution in 5-gallon carboy, agitate for several minutes, and empty. Put carboy cap on 6.5-gallon carboy and siphon into 5-gallon carboy. 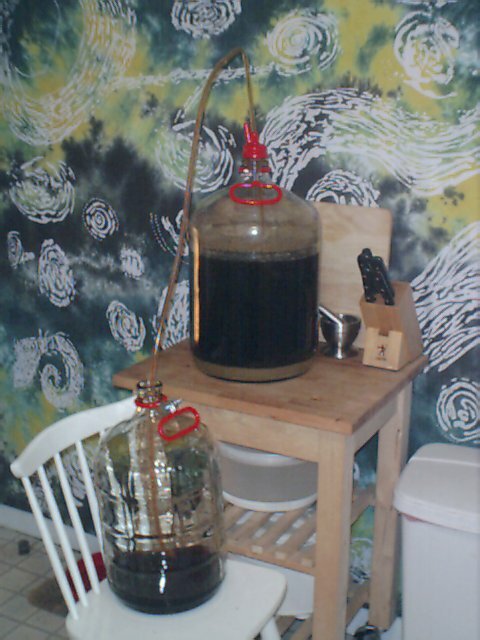 Seal 5-gallon carboy with drilled stopper, affix airlock, and store at 65�-70� for 1-2 weeks. Clean 6.5-gallon carboy, racking cane, tip, tubing, and carboy cap with cleaning solution (Oxyclean, PBW).